As political and military forces in Zimbabwe moved to pushed longtime President Robert Mugabe from power, Chinese were watching the path of removal of a man many described as a dictator with interest. Mugabe, 93, had ruled Zimbabwe for more than 30 years since the country’s independence from British colonial rule. 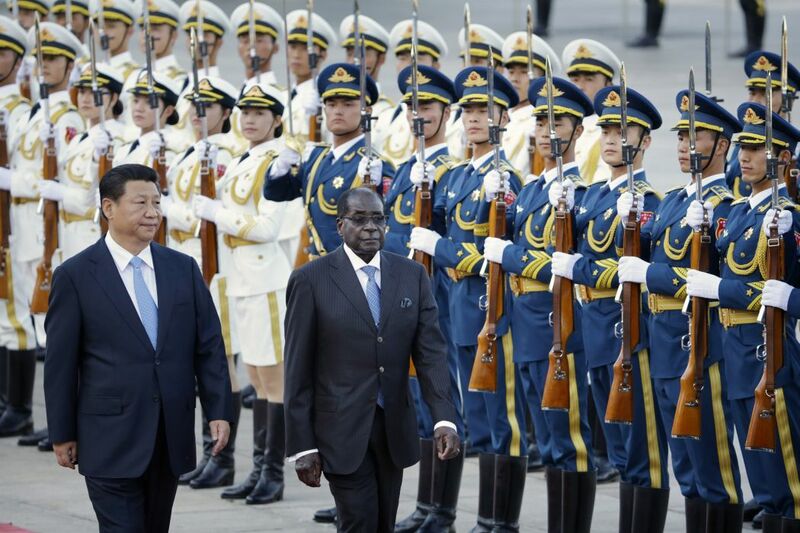 When the majority of western countries started to sanction Zimbabwe for Mugabe’s land seizure policy and human rights abuses in the early 2000s, China stepped in and became Mugabe’s most important ally. Throughout the years, relations between Zimbabwe and China have grown closer through loans, construction and investment projects and diplomatic visits. Between 2010 and 2015, China granted Zimbabwe over US$1 billion in loans. Such financial support has led Zimbabwe’s opposition party to accuse Beijing of aiding Mugabe and stealing billions from the country with illicit trade in the diamond industry. And, in fact, Zimbabwe’s economy has been deteriorating under Mugabe’s regime, and corruption is a serious problem. At the start of November Mugabe sacked his vice president, Emmerson Mnangagwa, in a move to seemingly position his own wife Grace Mugabe to take over the presidency. The situation culminated on November 15, 2017 when the military took control of the country. Tens of thousands of Zimbabweans poured into streets of the capital Harare to celebrate and chanted anti-Mugabe slogans like “Mugabe must go” and “No to Mugabe dynasty”. ZANU-PF removed Mugabe as leader of the ruling party, pulling Mnangagwa into the spot, and threatened to impeach Mugabe if he didn’t step down as president. 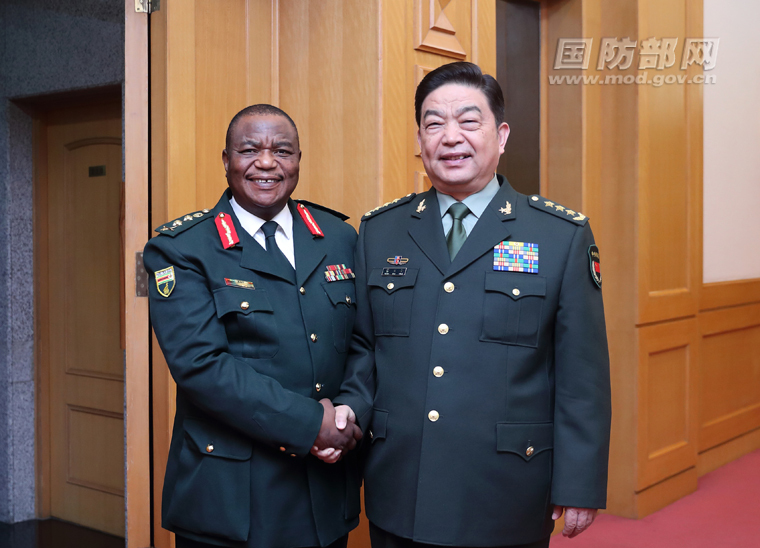 Zimbabwean army commander General Constantino Chiwenga with Chang Wanquan, the Chinese minister of defence, during visit to Beijing last week. Photo: GovCN. Quite a number of international media outlets have speculated China’s involvement in the Zimbabwean coup as the military action took place just three days after the commander of the Zimbabwe army, Constantino Chiwenga, returned from a visit to China. The chief of the coup just returned from China. The coup happened soon after the return, draw your own conclusion. The old friend has become very old and easily influenced by his wife. 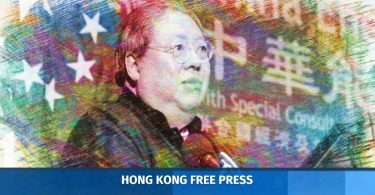 His wife had many negative remarks about China. Just two years ago, this old friend even said the country’s poor economy was thanks to China. Such an old friend was not reliable. The new guys graduated from the Shijiazhuang Army Academy. Zimbabwe has sent its military officials to China for training since the 1960s and reportedly, former Vice President Mnangagwa was also trained by the Chinese People’s Liberation Army. Beyond possible Chinese influence on the coup, many netizens saw parallels between the situation in Zimbabwe and a certain period of China’s own history — the arrest of the “Gang of Four” by the military on October 6, 1976, a month after former state leader Mao Zedong’s death. This incident is basically an African version of the crackdown on the Gang of Four. Just as Mao Zedong was considered a founding father of the People’s Republic of China, Mugabe was viewed as a great leader who played a central role in liberating Zimbabwe from British colonial rule. Even given the damage inflicted on the country’s economy and the human rights abuses that have happened under Mugabe, he was appointed as the chairman of the 54-state African Union in 2015. People in Zimbabwe tear down huge portrait of Mugabe, their once “great leader, great captain, great teacher and red sun”. Comment: When people wake up, all “greatness” will vanish, the dictator will be relegated to the dustbin of history. The description of “great leader, great captain, great teacher and red sun” were used to describe Mao Zedong. Recently, Chinese-state affiliated media outlets have started calling President Xi Jinping as “great leader” after the 19th national congress of the CCP and recently used more than 15,000 Chinese words to explain why “Xi is the unrivaled helmsman who will steer China toward this great dream”. The so-called “people” are just cheering squads, people throughout the whole world are the same. When Mugabe came into power, they cheered and took him as savior. 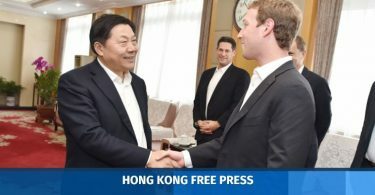 Eventually he turned them all into billionaires (because of the devaluation of currency) and their average lifespan was reduced from 60s to 30s. [According to World Bank report, the life expectancy of Zimbabwe had dropped from 62 years in mid-1980s to 40 years old in 2002 and 2003. In recent years the figure is back to 59.] Now that he has fallen, they cheer again. Today, slogans like “Mugabe must go”, “People don’t need a great leader” have occupied Zimbabwe’s streets. Now that the great leader has gone, the country has not fallen into chaos or warlordism. The police responsible for the rally crackdowns of the past have run away, no one has shown up. The nature of a undemocratic country is like a prison and the great leader is just a prison guard. Another notorious dictator has fallen. 93-year-old Mugabe was forced to step down in a coup in Zimbabwe. Mugabe has close relation with the Chinese Communist Party and in 2015 he was even awarded with the Confucian Peace Prize. Which [dictator] would be the next to step down in a coup? North Korea Fatty Kim or West Korea [meaning China] Xi the bun? Am so eager to see this happen. This article first appeared on Global Voices on November 21.